Learn why partnering with us is the ideal choice! 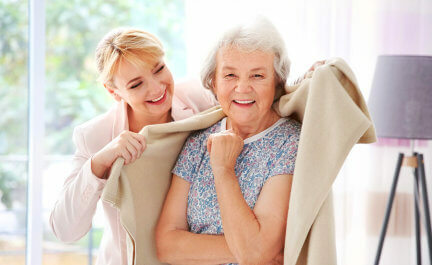 As much as possible, we help in maintaining your independence at home. Our goal is to give you a sense of control over your health and living situation. This is because we give value to your decisions. Protecting your dignity and privacy are still our top priorities in providing Senior Home Care Services in Lincolnwood Illinois. From time to time, however, we all need a helping hand and this is where BRC steps in to provide Home Care or Companion Care in Illinois. Where your physical health and mobility fall short, we are there to provide you with strong caregiver support whenever you need it. Apart from being skilled with home care techniques, our staff at BRC are honest, considerate and patient. In view of a customized home care plan, we draw from our experience and expertise to deliver a level of service that is adapted to your health and living situation. We offer a line-up of home care services that you can avail of right where you live. This continuum of outstanding home care ensures that you will always find the exact care you need so you can live your life to the fullest. Talk to our home care specialist by calling us at 847-674-2388. Or, you can visit our services page for more information about our home care programs.